Windward Capital Management is a hedge fund company based in Los Angeles, CA and was founded by Robert Nichols. Their primary investment strategies are Equity and Fixed Income. Windward Capital Management has $240 million in assets under management and has 3 employees. Wasmer, Schroeder & Company is a hedge fund company based in Naples, FL. Their primary investment strategies are Fixed Income and Long/Short. Wasmer, Schroeder & Company has $4300 million in assets under management and has 19 employees. 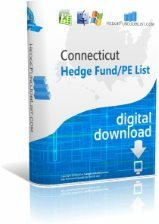 Vigilant Capital Management is a hedge fund company based in Portsmouth, NH. Their primary investment strategy is Fixed Income. Vigilant Capital Management has $380 million in assets under management and has 4 employees. The company was founded in 2002. Vestor Capital is a hedge fund company based in Chicago, IL. Their primary investment strategy is Fixed Income. Vestor Capital has $400 million in assets under management and has 10 employees.